Handsome Raphael Cain (Falcon Crest's Lorenzo Lamas) sees his wife slain and his daughter stolen by sinister demons. With an unholy fury and a vow of vengeance so powerful that the fates decree him The Immortal, Cain fights for centuries against the forces of darkness led by Malloa (Dominic Keating, Star Trek: Enterprise), which are hell-bent on a Satanic reign on Earth. By the 21st century, the demons have grown more powerful and determined, and Cain needs the help of modern-day squire Goodwin and the lovely Dr. Sara Beckman in his quest to defeat evil once and for all. For the first time, enjoy the complete 22-episode run of this action-adventure TV series on DVD! New release so do only a couple of episodes at a time to get sources. Location: In My Own State of Mind. 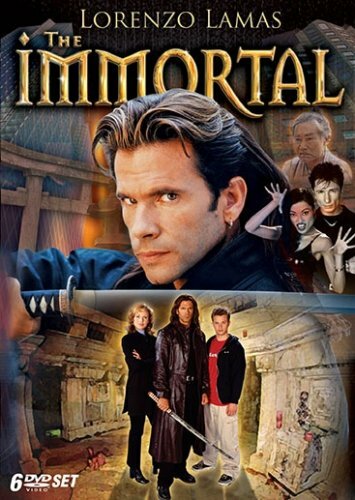 How to download The.Immortal.S01E11.Forest.for.the.Trees.DVDRip.XviD-SLiPFiST.avi ?